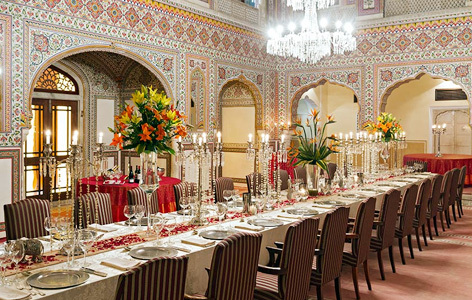 "One of the most splendid places for the ultimate royal experience, the Samode Palace is architecturally fascinating, visually enchanting and sensually captivating. 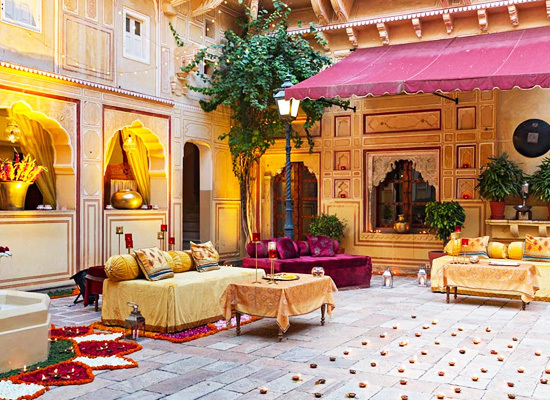 The paradisiacal structure was built 475 years ago, in a beguiling concoction of Rajput and Mughal styles of construction, setting an impeccable standard in luxury and charm. Located about 42 kilometers from the Jaipur City, Samode immediately puts an enduring impression with its beauty and majesty. Find out what it is living a life king size by experiencing the true richness and magic hospitality of this unique gem. 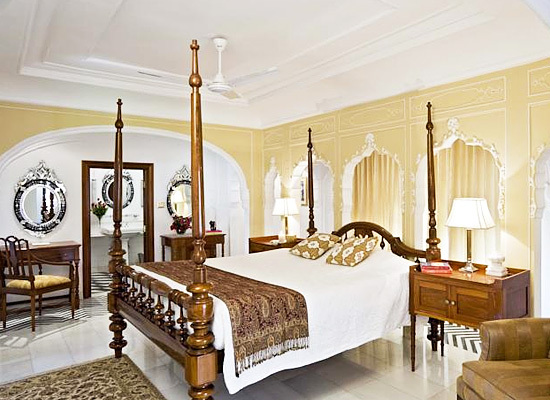 The Samode Palace was built 475 years ago, and the palace was converted into Heritage Hotel by the Samode family. The palace is a wonderful example of Rajput-Mughal architecture. 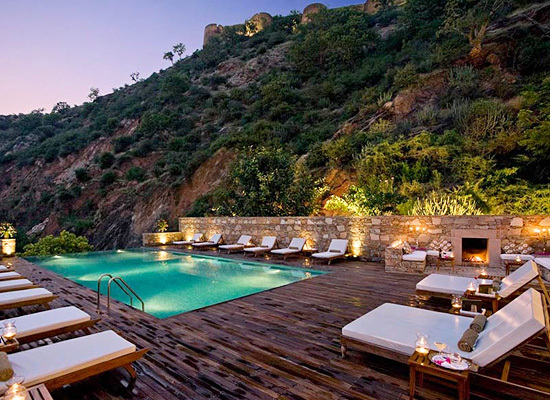 Hotel Samode Palace of Samode in Rajasthan has a provision for 43 well appointed guestrooms which include 3 Royal Suites 15 Deluxe suites and 25 Deluxe Rooms and all the rooms are air-conditioned. The hotel provides attached modern bathrooms and running hot and cold water in all the rooms. Hotel Samode Palace re-creates the glorious era of the Rajputana culture in every way. 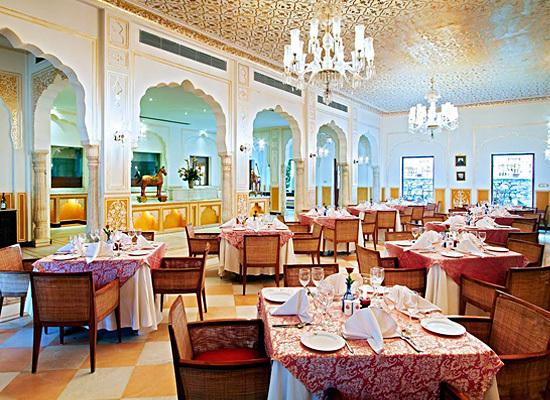 Dining in the heritage hotel is a cherished memory. The gastronomy comprises of traditional Rajasthani flavors, Indian specialties as well as cuisines from all over the world. Drinks from the extensive wine cellar, with a handpicked and expert choice of both International and Indian variety are available at your asking. Enjoy meals in the courtyard under the shade of trees with the music of chirping birds or the indoor restaurant. Spend the evening with cocktails by the poolside. Enjoy a romantic candle-lit dinner at the terrace garden under the star light skies. Samode is placed in the royal Indian state of Rajasthan and is about 42 km from capital city Jaipur. Samode was one of the grand places of Jaipur, built in the 19th century and is well-known for its havelis and forts. The prominence of the building is the lovely Diwan-i-khas covered with innovative paintings and mirror work. It's a perfect spot for sashays and picnics. Samode is famed for Samode Palace and Samode Bagh and Samode is an ideal desert getaway.